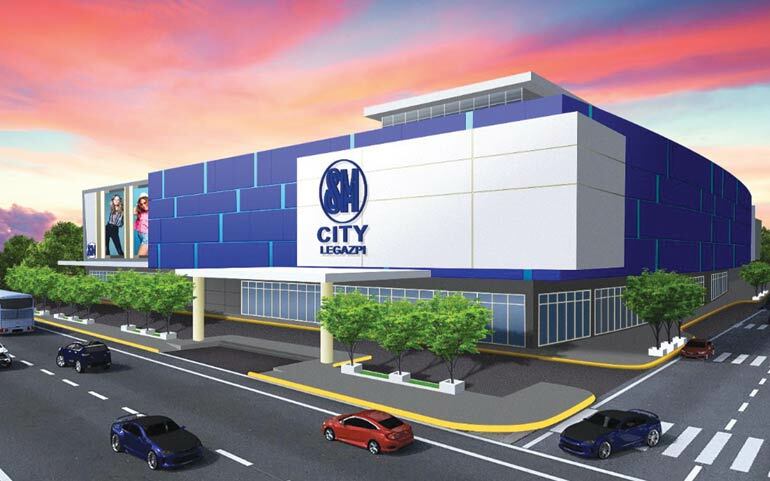 SM City Legazpi will open its doors on Sept. 14. Located along Imeda Roces Avenue in Albay, the mall will have a total gross floor area of almost 88,000 square meters (sq.m.) and will be the company’s second mall in Bicol following SM City Naga in Camarines Sur. “SM Prime joins the City of Legazpi in bringing fun and adventure to the picturesque province of Albay with the opening of SM City Legazpi… Together with SM City Naga in Camarines Sur, this new lifestyle destination in Bicolandia will elevate the malling experience of both the locals and tourists with offerings from top local and global brands,” SM Prime President Jeffrey C. Lim said in a statement. The three-storey mall will open with 85% of its leasable space already taken up by a mix of shopping, dining, and entertainment concepts. Tenants will include The SM Store, SM Supermarket, SM Appliance Center, Ace Hardware, Our Home, Watsons, Surplus, Sports Central, Bata Shoes, Miniso, The Body Shop, Uniqlo, and Banco de Oro. The mall will also feature a food hall with a view of Mayon Volcano, six SM Cinemas, and SM Cyberzone. The listed firm chose to locate in Legazpi City as it is considered Bicol’s center for tourism, education, health services, commerce, and transportation. SM Prime also noted Legazpi, with a population of more than 200,000 people, is one of the top provincial cities with remittances from overseas Filipino workers. SM City Legazpi is the fourth mall that SM Prime will be opening this year, after SM Center Imus in Cavite, SM City Urdaneta Central in Pangasinan, and SM City Telabastagan in Pampanga. This will bring the company’s total mall count to 71. SM Prime will open SM Center Ormoc in Leyte in the fourth quarter, bringing its total to 72 stores across 9.6 million sq.m. by end-2018. The expansion is part of the company’s goal to have 10.8 million sq.m. of gross floor area across all its shopping malls by 2022, with around 86% located in the Philippines and the balance to be seen in China. The company generated a net income of P16.62 billion in the first six months of 2018, 16% higher year-on-year as consolidated revenues likewise grew 15% to P49.77 billion for the period. Shares in SM Prime ended flat at P36.50 each at the Philippine Stock Exchange on Tuesday.